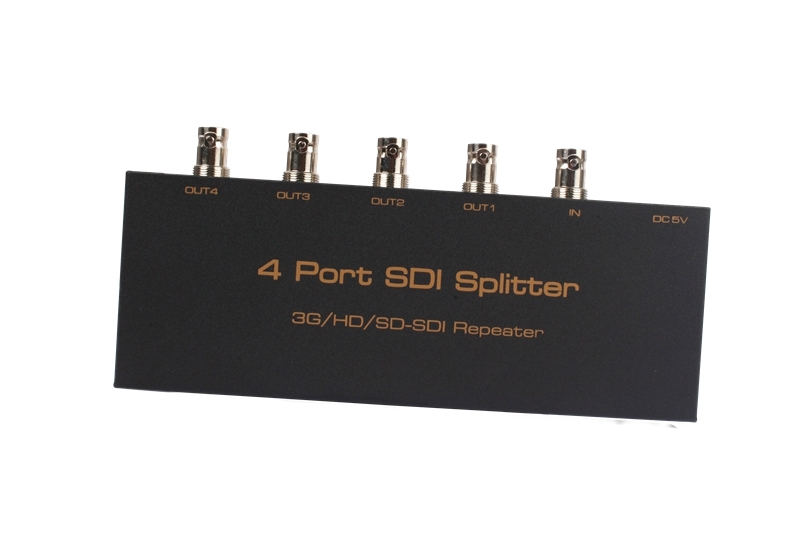 The 4 Port SDI Splitter can easily distribute one SDI signal to four SDI Compliant Displays without any loss of signal, distortion and delay. 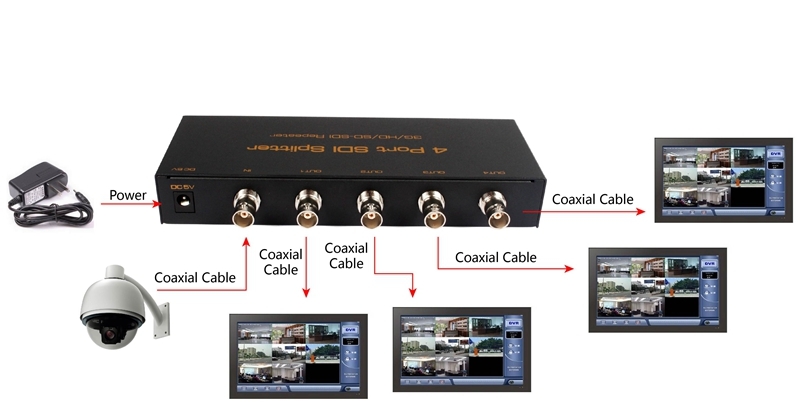 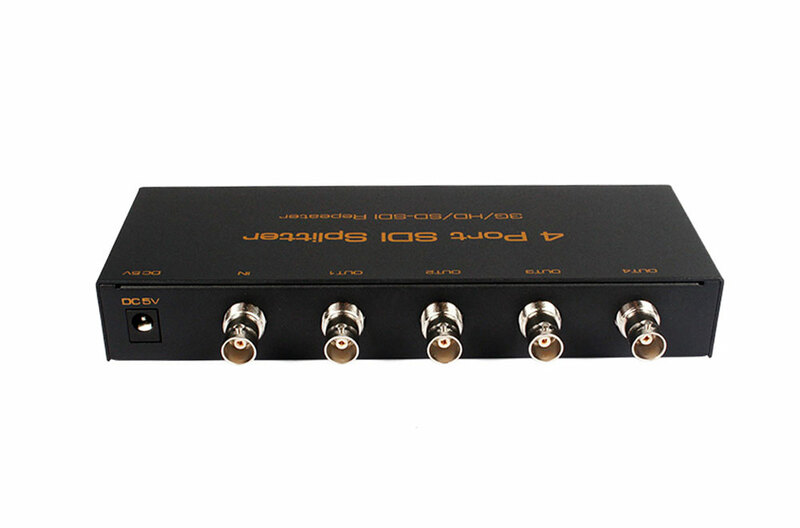 It supports SD-SDI,HD-SDI and 3G-SDI format signals; also it can do amplify to the SDI signal. 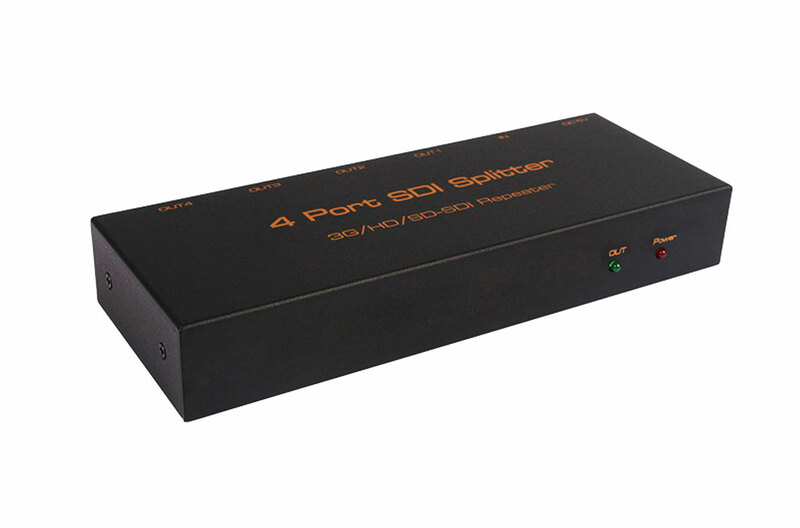 One Signal distribute to four SDI signal out.